The line is designed to manage 12.7 to 63.5mm diameters of 20m lengths at a maximum speed of 180m/min and the work flow and equipment layout have been developed in conjunction with the customer’srequirements. The entire line is fully automatic and interfaced with the customer’s MES system. All work data is tracked along the entire process to the final bundle. 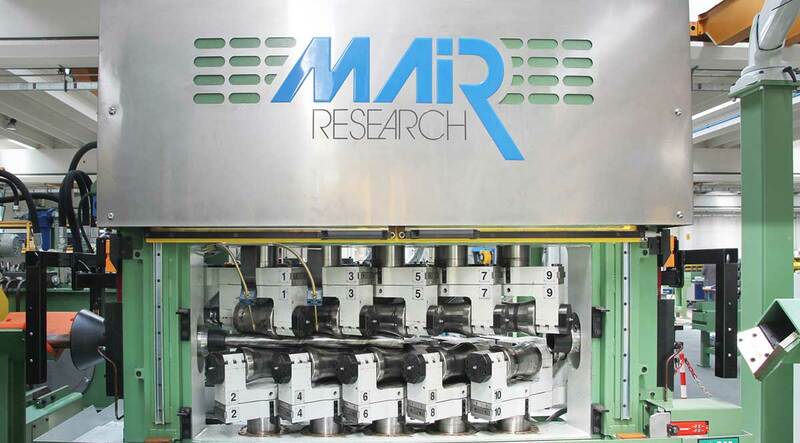 The 10 roll straightening machine Model RMT10/60, is a key component of the line: it is based on a ring frame structure made of steel elements welded together, annealed and machined to achieve one monolithic unit having the benefit of being free of any vibrations during the work process. with load cells in order to control and monitor in real time through a dedicated software. The line is completely automatic and operates free of operators, except in particular cases of running very small and long tubes. Multihead cutting machine Model MC100/6 allowing to cut the single tubes in the desired lengths. The cutting length is obtained by automatically positioning the heads longitudinally, by means of a fully automatic management system. The packaging machine Model HEX100/D/6/SL allows to pack automatically the tubes into hexagonal bundles, with fully automatic.